You are about to enter the South 32 Collie Adventure Race. Please read the information below before you continue with your entry. Afterwards you can click the "next" button to start your entry. There is a short break between the Run and Canoe legs in the Long Course. So that means the race stops for Stage 1 after the Run, then restarts for Stage 2 with the Canoe leg. 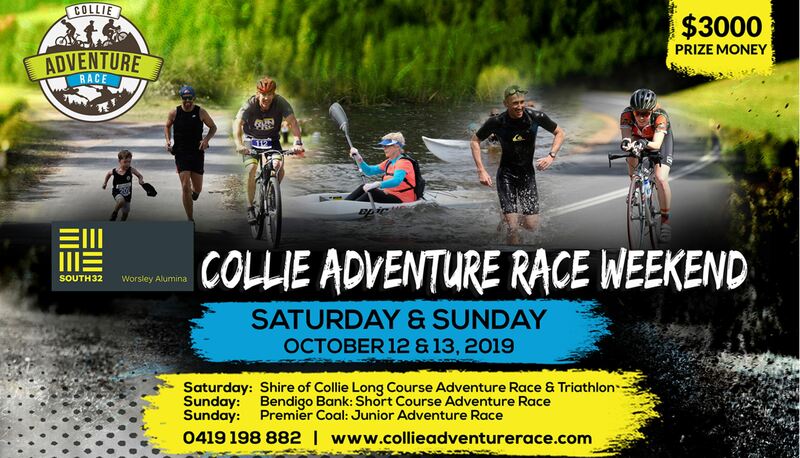 Shire of Collie Triathlon - New Event Added! The Minninup Kids event has a maximum age of 12 as at 13/10/2019. Age for all events is determined as at 13/10/2019. Further information can also be found on the South 32 Collie Adventure Race website.